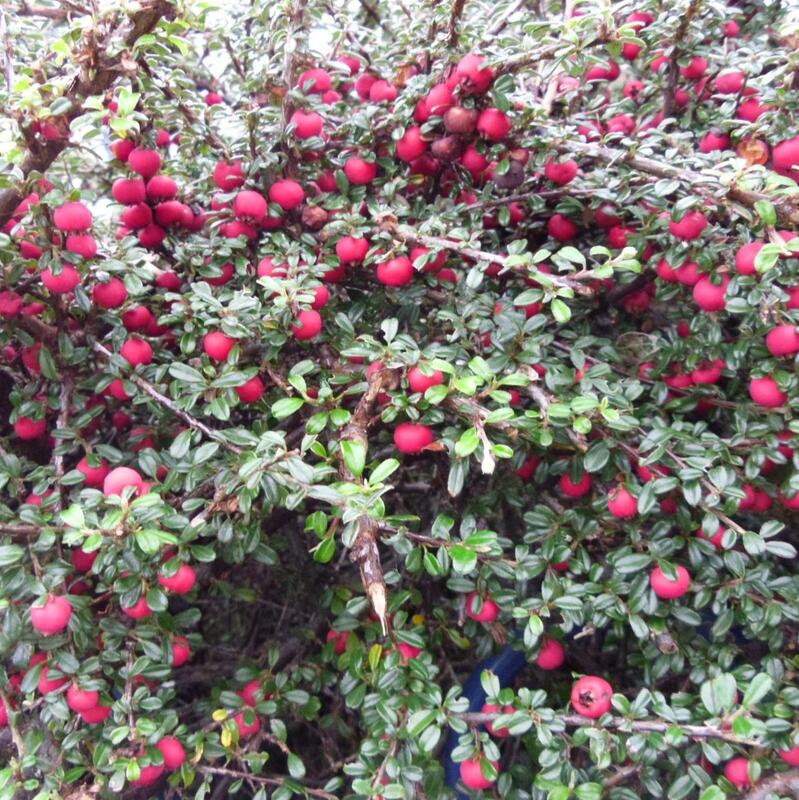 Cotoneaster integrifolius, which is sometimes offered as Cotoneaster microphyllus is a very tough persistently evergreen low growing shrub with very small dark blue green leaves and rigid branches. It is a joy in spring when it is often so covered is small star shaped flowers that the foliage seems absent. The flowers are a magnet to bees and in autumn, and often throughout the winter; it is adorned with relatively large crimson fruits. 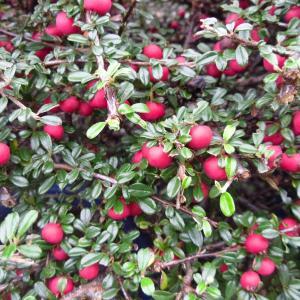 A well mannered easy shrub which will grow virtually anywhere that is not waterlogged, though it does best in an open sunny position. It can be ruthlessly pruned if necessary, but rarely needs more than alight trim. 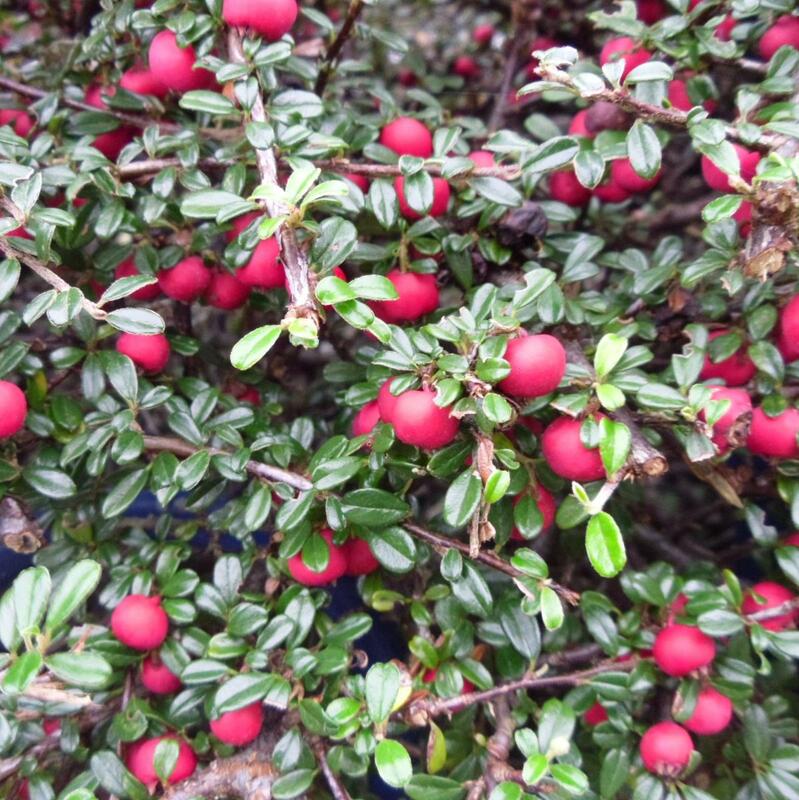 Cotoneaster integrifolius can be grown on its own in the shrubbery, or is ideal as a low growing hedge plant. Height to1m with a similar spread.